While I’ve been trying to balance out my meals with extra protein and veggies lately, the last few rainy days have me craving pasta like an Italian nonna with a pot of Sunday gravy bubbling away on the stove. And now I’m wishing I had one iota of Italian blood in my body so I could lay claim to that Sunday tradition. 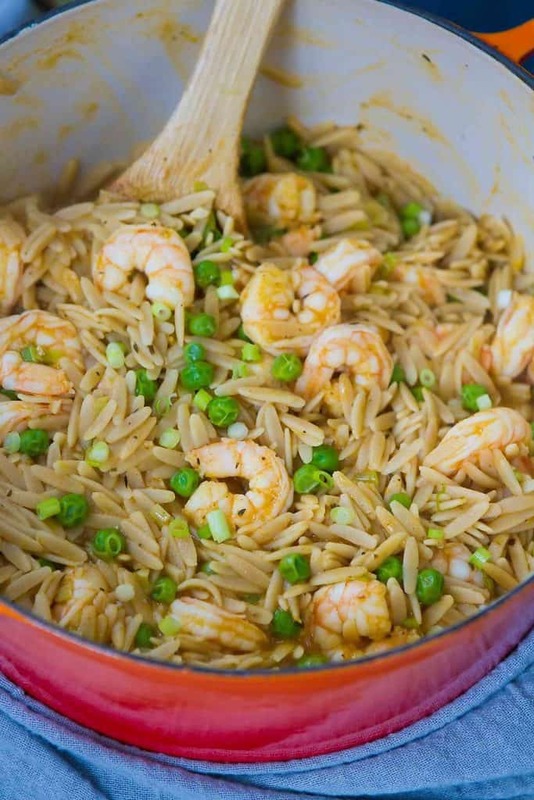 Last night was lasagna rolls, tomorrow will be a riff on this easy recipe (garlic lovers rejoice) and last week it was this amazing recipe for one pot orzo with shrimp and peas. And I do mean amazing! While I wish I could put dibs on this recipe, ever word of credit and accolade goes to Aimée of the popular blog Simple Bites and now two-time cookbook author (and fellow Canadian!) 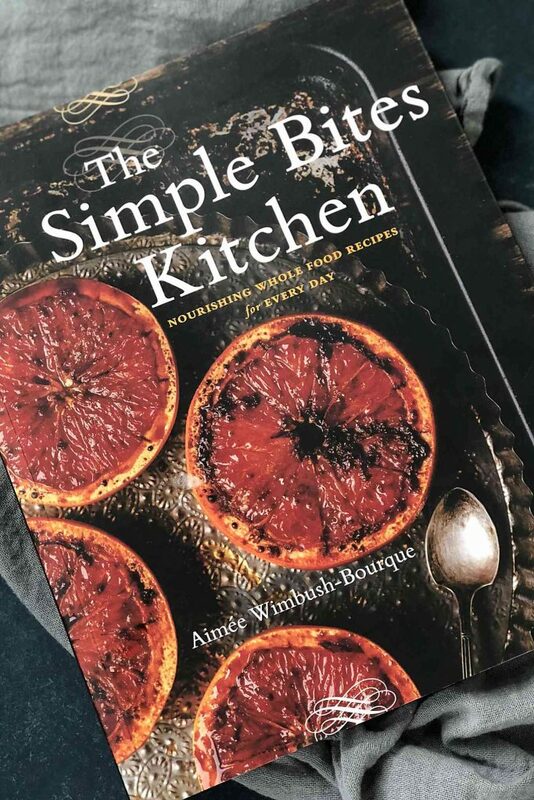 Aimée’s second book, Simple Bites Kitchen: Nourishing Whole Food Recipes for Every Day is now available in stores, on Amazon (for U.S. readers) and on Indigo (for Canadian readers). 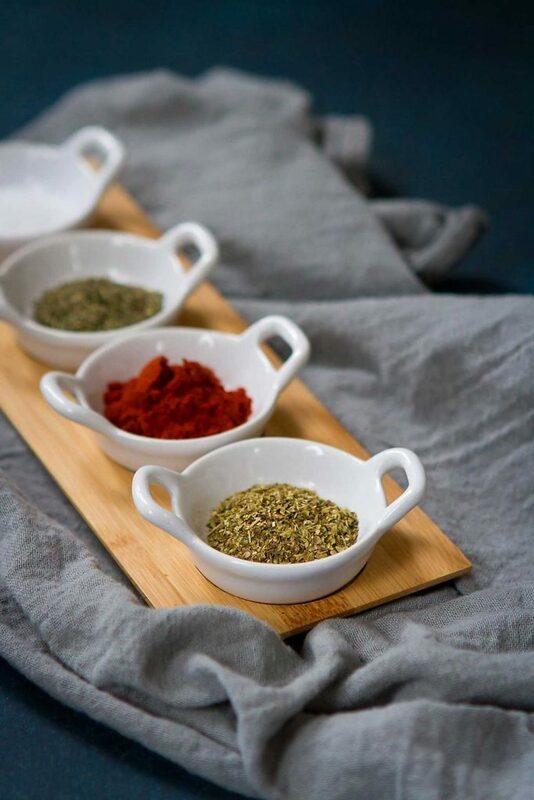 Looking for a holiday gift for the food lover in your family? This book should do the trick! In other words, healthy, real food with a dose of realism needed for the average busy family. Right up my alley. Add that to gorgeous photos, engaging writing and recipes such as Tangy Quinoa Carrot Chicken Salad, Cranberry-Glazed Turkey Meatloaf and Apple Crisp Muesli Mix, and you have a book that you’ll turn to over and over again. This 30 minute meal was a hit with every member of my family, and we managed to polish off every last morsel. Next time I’m making a double batch so I can have lunch leftovers! As I tend to do when making any recipe from a cookbook, I made a couple of simple changes to suit my family. The changes here were minor. Regular orzo was replaced with whole wheat orzo, and I reduced the salt by one tablespoon. If you’re looking to add more veggies to the meal, serve this alongside a spinach salad or stir some spinach leaves into the pasta in the last minute of cooking. In a small bowl, stir together paprika, oregano, thyme, salt, pepper and cayenne. Bring a large pot of water to a boil and salt it generously. Cook orzo according to package directions, draining it when it is still a little al dente. Set aside. Combine the vegetable broth and white wine in the same pot (I used a large saucepan). Add the spice mix and bring to a boil. Add the greens onions, garlic and peas. Return to a rapid boil. Drop in the butter cubes and stir until the butter is melted. Carefully add the shrimp and cook for 2 minutes, or until shrimp turn pink. Add the cooked orzo, and the lemon zest and juice. Stir for a minute or two until the pasta absorbs all the flavorful liquid. Serve immediately. Your slow cooker hoisin chicken recipe was OUTSTANDING! Truly, it is one keeper of a recipe!!! 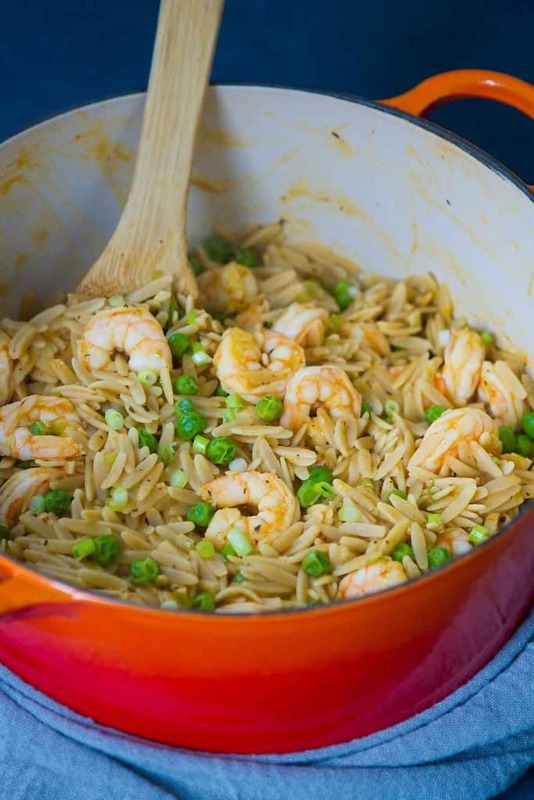 I cannot WAIT to try this one pot orzo recipe. It’s on the menu this weekend! No note of green onion in ingredients…. and I would at least double the peas. Flavors are magnificent ! I’m not a wine drinker, so can you please tell me which brand of dry white wine you used? Any Sauvignon Blanc, Pinot Gris, Pinot Grigio or Pinot Blanc should do the trick! No note of green onion in the ingredients. How much? Ugh, I thought I fixed that. Sorry about that! It’s been edited (5 green onions). I hope you enjoy it!